In which I give some information about Samuel Backler of Ashwell, Hertfordshire ([? ]1662 – 1720), his marriage and children; and then pose some questions about his origins. In my next blogs I will trace the life and times of the many men named Sotherton Backler, who, apart from the cleric son Samuel, are the descendants about whom I have documented evidence. Matric. sizar from CHRIST’S, Michs. 1678; B.A. 1679-80; M.A. 1683. In November 1686, Mrs Margaret Howorth had been buried in woollen in Newnham. Was she related to Margaret and Elizabeth? Samuel Backler c. 1690. Educated at Ashwell School, he also attended Christ’s College Cambridge, matriculating in 1710, and receiving his BA in 1713-14. According to Alumni Cantabrigiensis, he was ordained Deacon, St Mary Aldermary and Priest Sep 22 1717, Lambeth Parish Church. He then became Vicar of Lowesby, Leics, 23 Sep 1717, Curate Rearsby, Leics. 5 June 1719, succeeding his father in 1720 as Vicar of Ashwell, Herts. He moved on 17 Feb 1728 to be Rector at Battlesden Beds., from which he is said to have resigned in 1733. No further information is known of him – did he marry? When and where did he die? Did he emigrate? Send word! John Sotherton Backler christened 4 August 1699 – buried 13 August 1699. This is the first known use of the name ‘Sotherton’ in this family. Was it a geographical association with Sotherton, Suffolk (see below)? Sotherton Backler (my 5x great grandfather) christened 5 February 1703/4. Much, much more about him and his descendants to come in future blogs! Mary (Howorth) Backler was buried on 1 September 1728 in Ashwell. Was Samuel Backler, Clerk, the son of Samuel Backler and Ann Ede, who married in Huntingdon in April 1660, and whose son Samuel was born on 13 April 1662 and christened in Huntingdon on 30 April 1662? The dates seem possible – BUT there were quite a few ‘Samuel Backler’s’ around at the time. How can we be sure this is the right one? A Mrs Anne Backler, widow, was buried in Ashwell on 31 May, 1716, in woollen, in ‘ye 87 year of her age’. This extra information is highlighted in the entry written by Samuel Backler, vicar. Could this have been his mother, Ann Ede? 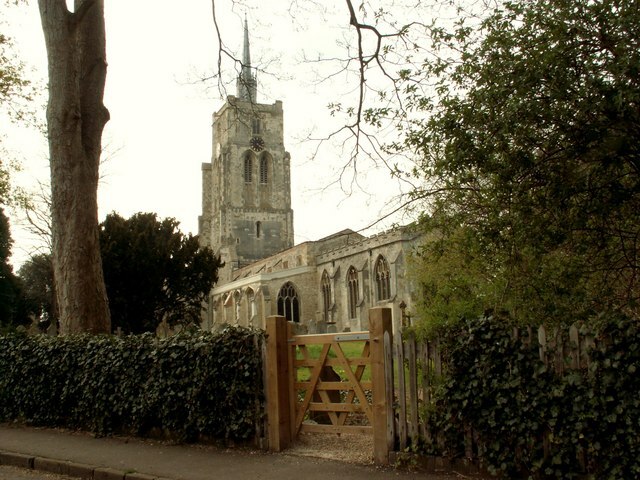 How did Samuel Backler (Clerk’s) father Samuel – if, indeed, that is his father – link in with the various Backler families in East Anglia in the 16th and 17th centuries? For instance, the family of Richard Backler in Dedham; or John Backler, Grocer, of Stratford? Or, as one record suggests, was he the nephew of Samuel Backler, of Whatfield, who was ejected in 1662 and died in East Bergholt? Whose family was he part of? Is it too much of a coincidence to link the name ‘Sotherton’ – about which there will be much more in future blogs – with the record on findmypast showing that Mary BACKLER was christened in Sotherton, Suffolk, on 4 April 1659, daughter of Thomas and Margaret Backler? And there I will leave my first Backler blog. I hope to be back soon, to introduce readers to the First Sotherton Backler and his career as an apothecary in London.